The Ministry of Home Affairs is a government ministry of Tanzania. Its mission is to "save lives and properties, facilitate and control movement of aliens and non-aliens, assist refugees, and rehabilitate convicts through implementation of relevant laws and regulations." The police force, prisons service, immigration service, fire and rescue force, refugees service, and community service are departments of the ministry. CLICK HERE TO DOWNLOAD THE POLICE FORCE JOBS ANNOUNCEMENT. Share this as much as you can. 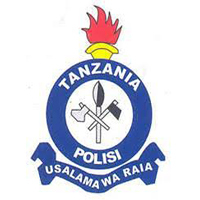 In response to challenges facing the Tanzania Police Force, the Government established a Tanzania Police Force Corporation Sole by The Corporation Sole Act No 23 of 1974 through a Government Notice Number 66 published on 29/03/2013.